Environment for Bright Babies: Activity Room, Nap Room , Lunch Room, Nursing area for mother, Diaper changing station. 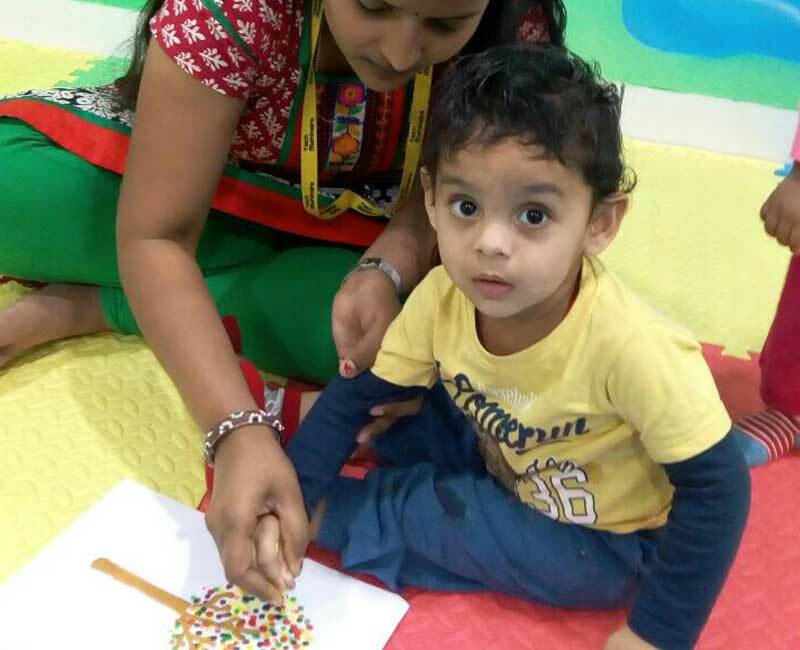 The bright babies is a colourful environment with lot of scope for visual stimulation & tactile exploration. The room is designed with a theme, eye-tracking black & white stickers, touch boards, mirror etc. The area also encourages crawling movement. The aim of this program is to provide an ultimate care for babies. The activities in the program are based on baby’s senses.